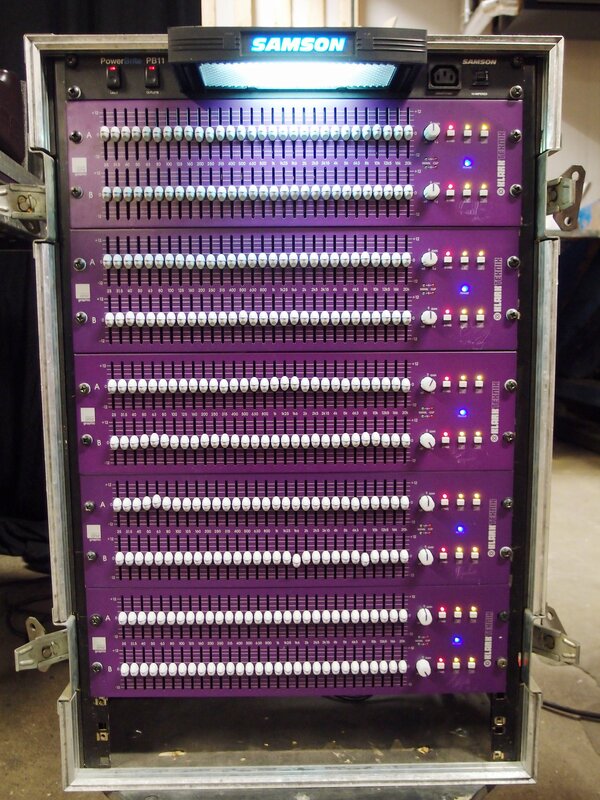 Package of 5x Klark Teknik Square One Graphic equalizers in wheeled touring rack. Includes 5m insert cable for Midas Verona console listed separately. Includes Samson Powerbrite PB11 power distribution and lighting unit.